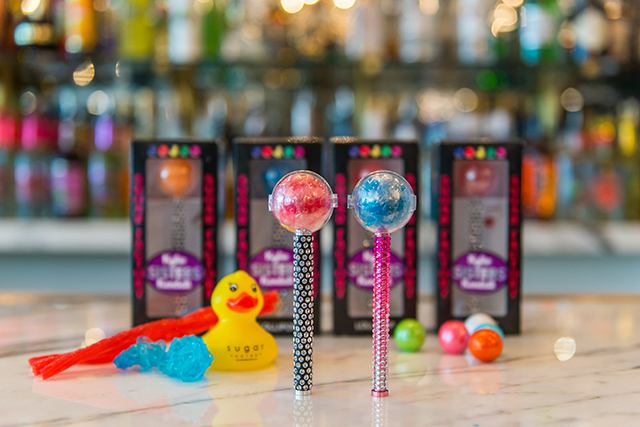 With the goal of being “The sweetest place on earth,” Sugar Factory –and their celebrity-endorsed Couture Pops, can be in some of the world’s most fabulous cities, including Las Vegas, New York City, Bahrain, Chicago, Manila, Dubai, Orlando and Miami. For the month of October, all Sugar Factory locations across the country will offer a limited edition “Pretty in Pink” milkshake in honor of Breast Cancer Awareness Month. 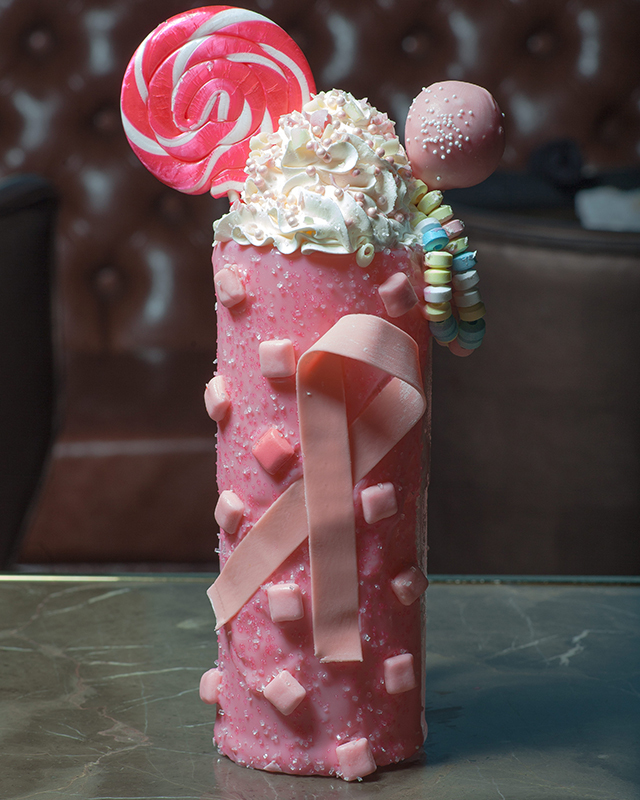 Sugar Factory will donate $1 from every milkshake sold to the Susan G. Komen Breast Cancer Foundation. “The inspiration behind the Pretty in Pink is the pink ribbon that identifies Breast Cancer Awareness. 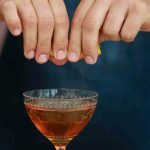 We wanted to show our support for the strong women with breast cancer as well as to continue to spread awareness,” says Charissa Davidovici, Sugar Factory Founder. Pour milk in blender along with scooped vanilla ice cream, then, blend on high until smooth –but, not water. Add 5 drops of food coloring to 32 oz white chocolate ganache to make a light pink color. Then, dip a cold glass mug or milkshake glass into the pink ganache, and let it set to get tacky. Add pink and white crystal sprinkles on the inside of the pink ganache-dipped glass mug. Next, add pink white chocolate sauce inside of the serving glass on the visible side. Start adding the pink starbursts on the ganache while still tacky. Then cut a 6-inch piece of bubble gum tape. Fold into a breast cancer ribbon, then, add to glass. Make sure the ribbon is completely attached from all sides onto the glass mug. 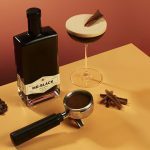 Pour milkshake preparation into decorated serving glass; add two straws, then, top off with whipped cream. Make cake pop by combining the red velvet cake and buttercream frosting. Coat with pink white chocolate glaze, then, let it set before adding to one straw. To top off the whipped cream, add the pink and white chocolate curls, along with the pink pearls. Finally, add the pink whirly pop and candy necklace onto the other straw.